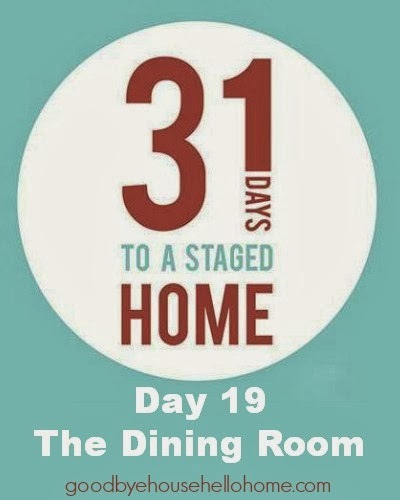 Hi, welcome to Day 19! so I recommend reading them in order. In most homes, as we live in them, the dining room can take on many forms. Some families use this space as a play room, an office, or a craft station. Tomorrow we'll be in the Kitchen. I really enjoyed reading your article starting from Day 1 up to the present. Very creative and there are many images. Keep up the good work. I am really enjoying the series! Thanks for all the work you put into it... I have a question: Our dinning table is square, and has 8 chairs... should I only use 4? Thanks!